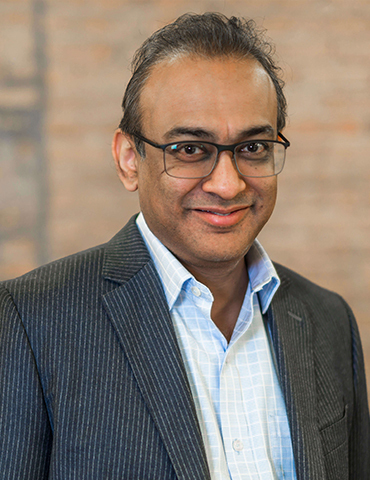 Sundeep Vira is a Chicago-based social entrepreneur and Chief Operating Officer for The Academy Group, which seeks to change America’s future by building a national pipeline of young leaders from underserved communities. Vira is also scaling sustainable clean water solutions for excess Arsenic and Fluoride removal, with an international consortium of partners in India. Vira serves on the board of Morgan Stanley Global Impact Funding Trust (GIFT), advisory board for Sattva Consulting and member of the INREM Foundation. Prior work in the social impact sector spans five years in projects in Cambodia, India, Nepal and Vietnam. Previously, Vira had a successful 20-year career in financial investment management, including 14 years with Nuveen Investments and subsidiary NWQ Investment Management, 3 years with family office Oclaner and 4 years with Morgan Stanley. Vira has an MBA with the University of Chicago, Booth School of Business, where he currently serves as teaching coach for the Global Social Impact Practicum (GSIP) course.